On 7 December 2018, Nang Pu, Lum Zawng and Zau Jat were sentenced to six months in prison and 500,000 Kyat (£250) fine each in Kachin State, Northern Burma. They organised peaceful protests during the spring of 2018 in support of villagers trapped in the jungle, after the Burmese army had attacked their villages. They were charged with defamation under Article 500 of the Penal Code. 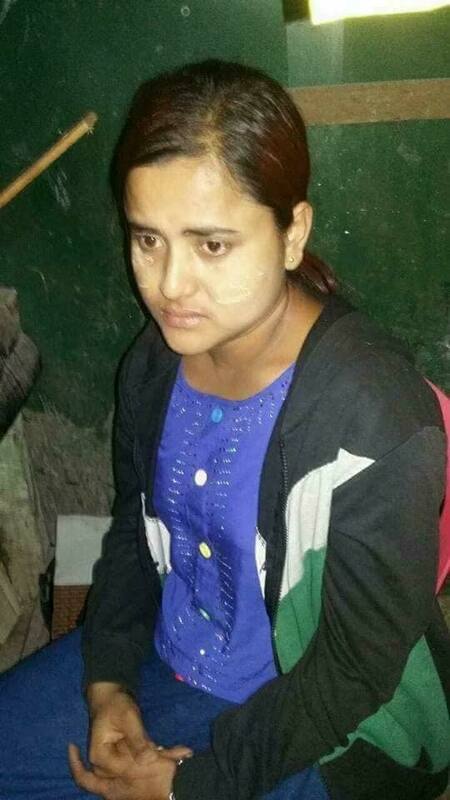 Ma Hla Phyu, a Rohingya teacher, was arrested on 23rd May 2018 and sentenced to one year in prison with hard labour, just for travelling without permission from the government. Reuters journalists Wa Lone and Kyaw Soe Oo were arrested in Rangoon after investigating the killing of 10 Rohingya men buried in a mass grave. They were arrested on 12th December 2017 after being invited to meet police officials over dinner. 1. Write to Wa Lone and Kyaw Soe Oo in prison. 2. Write to the President of Burma and call for their immediate release. 14-year-old Mai Cho Min Htwe was convicted without a trial on 30th October 2017 for allegedly being involved with an ethnic armed group and sentenced to two years in prison. He was charged under Article 17(1) of the Unlawful Associations Act. There was no proper trial and he had no access to lawyers until three days after he was convicted. According to Mai Cho Min Htwe’s lawyer, military officers reportedly interrogated Mai Cho Min Htwe overnight, beat him, and deprived him of sleep, food, and water. Ethnic Kachin farmer arrested in May 2012 on false accusation. Kachin farmer who was arrested in June 2012 on a false accusation and brutally tortured. Given a 21 year prison sentence. 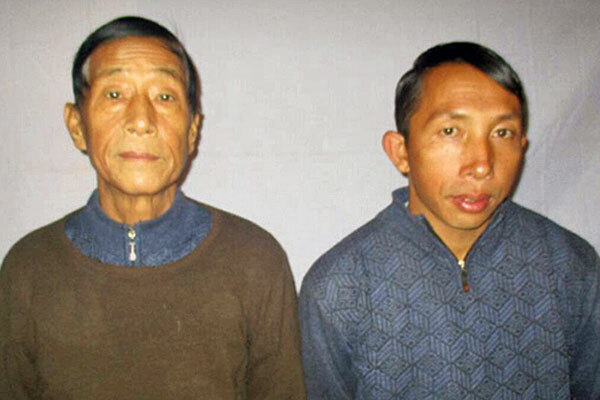 Dumdaw Nawng Latt and Langjaw Gam Seng are two ethnic Kachin pastors. In October 2017, Dumdaw Nawng Latt was sentenced to four years and three months and Langjaw Gam Seng was sentenced to two years and three months in jail. 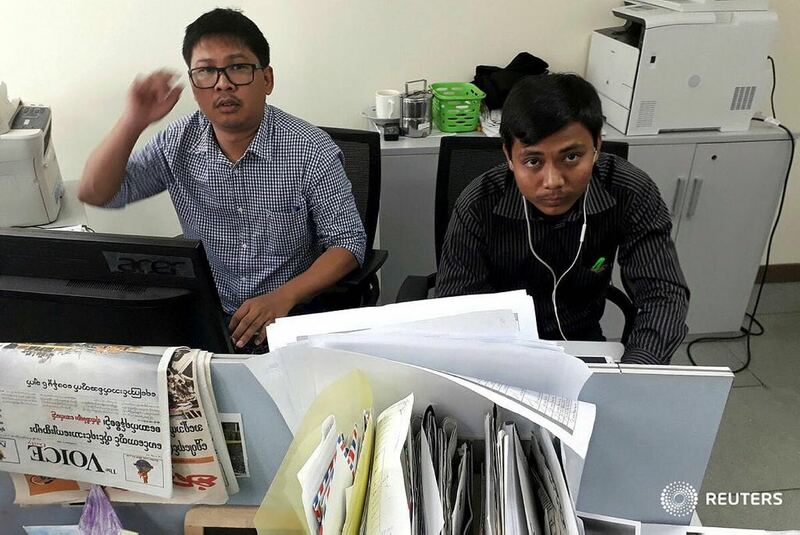 They were arrested in December 2016 for helping journalists from Rangoon report on the situation in Mong Ko, the site of heavy fighting between the Burmese Army and a coalition of ethnic armed organisations. A Rakhine human rights activist arrested on 25th July 2016 for exposing human rights abuses committed by the Burmese Army. Charged under Section 505 (b) and (c) of the Myanmar Penal code. Released on 22 February 2018, after he served 18 months in prison – including nine months in pre-trial detention. 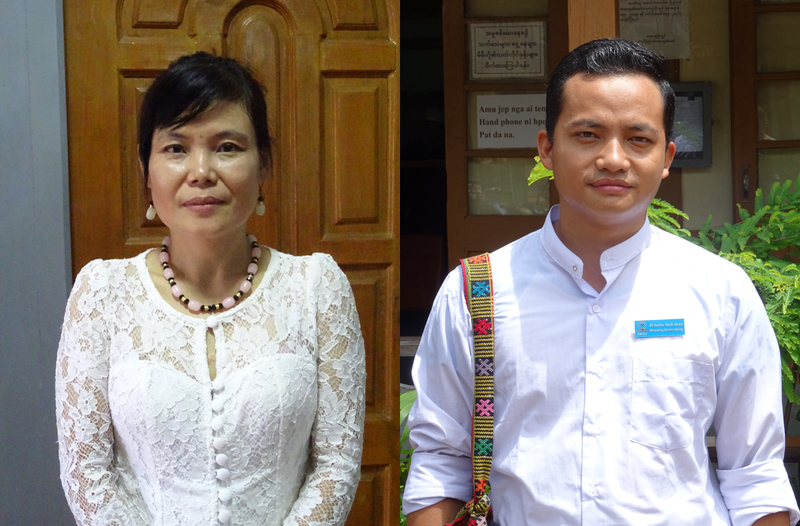 Human rights defenders, Zaw Zaw Latt and Pwint Phyu Latt were arrested in July 2015 on trumped up charges because of their work to promote religious freedom. In April 2016, Zaw Zaw Latt and Pwint Phyu Latt were sentenced to four years in prison with hard labour. Released on 24 May 2017 under a Presidential amnesty. A leader of the 2007 Saffron Revolution. Arrested in November 2007 and sentenced to 68 years in prison. Released on 13 January 2012. Arrested and released several times during 2012. He was arrested again on January 19 2016 and charged under section 13(a) of the Burma Immigration (Emergency Provisions) Act of 1947. On 26 April 2016 he was sentenced to six months in prison with hard labour. Released on 1 July 2016, at the end of his sentence. A writer and a former Information Officer for the National League for Democracy (NLD). Arrested after a speech on 23rd October 2014 where he criticised the use of Buddhism to promote discrimination and prejudice in the country. Charged under Section 295(a) of “insulting religion” and under Section 298 of “wounding religious feelings” and sentenced to two years with hard labour on 2 June 2015. He was released on 17 April 2016. Nilar Thein is one of the prominent leaders of the 88 Generation Peace and Open Society Group and a former political prisoner. Arrested on 24th February 2016 for allegedly supporting student protests against the National Education Bill last year. A human rights activist who has been repeatedly arrested and jailed for his peaceful political activities. 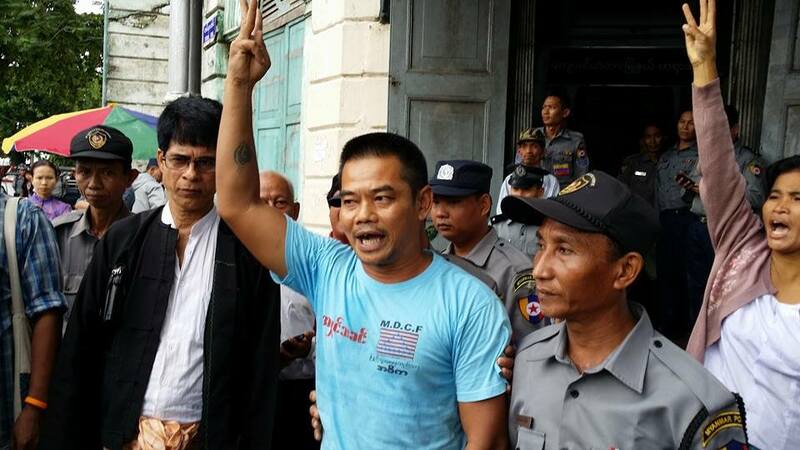 Arrested on 18th May 2014 for his involvement in anti-land-grab protests in Mandalay and sentenced to 3 years and 6 months. Naing Htay Lwin and Myo Min Min are trade union leaders, were arrested in February 2015 for asking for a pay rise of $1 a day for garment workers. They were arrested for protesting without permission, and they were also falsely accused of advocating violence during protests. On 11th September 2015, they were sentenced to two years and six months in Insein prison. They were released on 17 April 2016. Arrested on 5th May 2014, and charged under two different counts including under Article 18 of the Peaceful Assembly Law. Sentenced to nine years and four months in Insein prison. Naw Ohn Hla is a prominent woman activist, who has been arrested and imprisoned several times. She was arrsted in December 2014 and sentenced to six years and two months in , just for taking part in a peaceful protest. Arrested on 14th October 2015 for allegedly sharing a picture on Facebook which mocked the Burmese military. On 22 January 2016, he was sentenced to six months in prison for “online defamation”. Released on 1 April 2016. Labour activist who was arrested in March 2013 for cutting down a tree. Sentenced to 7 and half years in prison. Kachin Farmer who was arrested in June 2012 on false accusation and brutally tortured. 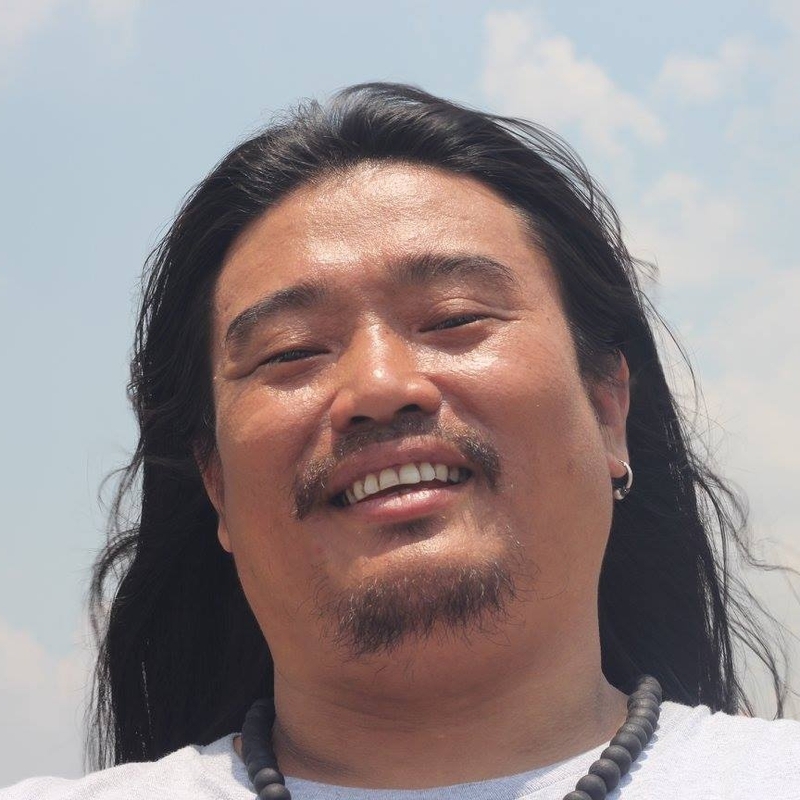 A community leader arrested on 31July 2014 for leading peaceful protests in support of people demanding compensation or return of their land that was confiscated by the military. Bi Mon Te Nay Journal’s three journalists Kyaw Zaw Hein, Win Tin, Thura Aung, and owners Yin Min Htun and Kyaw Min Khaing were arrested in July 2014. 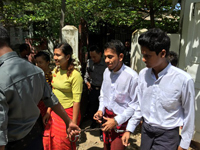 They were sentenced under section 505 (b) of Burma’s penal code for “committing or inducing others to commit an offence against the State or against the public tranquility.” The journal was shut down after they were arrested. Rohingya community leaders jailed in March 2015for calling themselves Rohingya. Democracy activist who works to promote human rights education, sentenced to 11 years in prison. Dr Tun Aung, a community leader arrested in June 2012 and sentenced to 17 years in prison, was released on 19 January 2014. Released on 7 October 2014. La Ring is an ethnic Kachin farmer who was arrested in June 2012. Released on 7 October 2014. 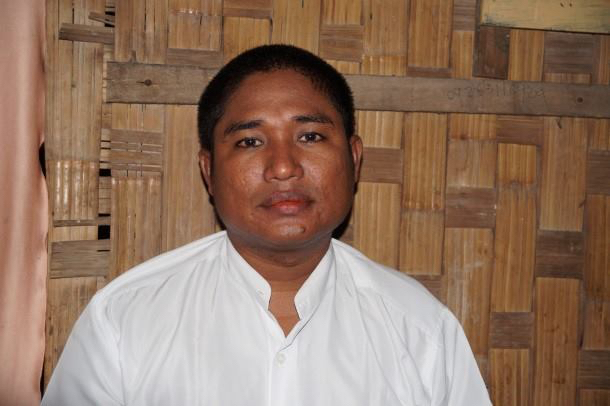 Kyaw Hla Aung is a community leader who was arrested on 15th July 2013. Released on 24th June 2014. 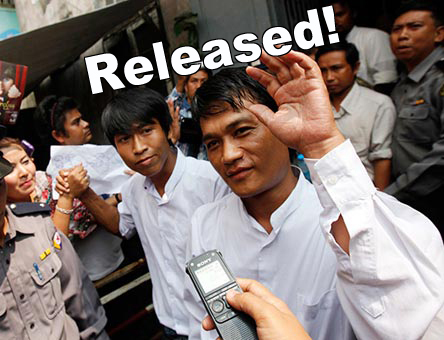 Nay Myo Zin and Win Cho were released after serving their sentences. Released on 24 January 2014. Bauk Ja is an ethnic Kachin activist arrested on 18th July. Released on 24 December 2013. Thant Zin Htet is a student activist arrested on 11th June 2013 for promoting farmers’ rights. Released on 24 December 2013. Khin Mi Mi Khaing and Myint Myint Aye are leaders of women’s networks. Arrested June 2013 after they supported farmers protesting on confiscated land. Released on 15 November 2013 Naw Ohn Hla is a prominent woman activist arrested on 13th August 2013 for leading a peaceful protest without permission. 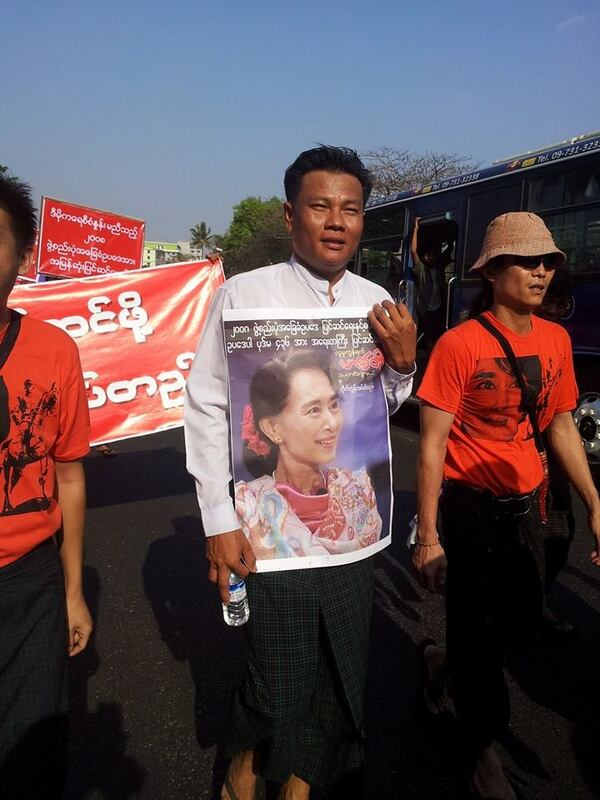 Released on 15 November 2013 Aung Soe was arrested in April 2013 for organising ploughing protests on confiscated land. Released on 23 July 2013. 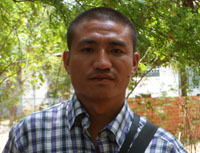 Kachin farmer Brang Shawng was arrested in June 2012. While he was under interrogation, he was brutally tortured. Released on 17 May 2013 Aung Naing had been in prison since 1999. Released on 17 May 2013 Win Myint, Kan Min Thar and Tun Oo are political activists who were jailed by the military-backed government in Burma. Released on 18 January 2013 Aung Hmine San, Than Htike, Min Naing Lwin and Thein Aung Myint were arrested for protesting without permission in December 2012. They were sentenced to one month in prison but freed after the trial as they had already been in prison for 33 days. 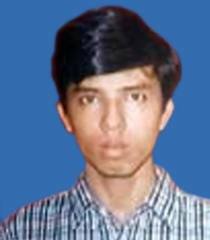 Released on 19 November 2012 Zaw Zaw Aung is a human rights activist who had been sentenced to life imprisonment. 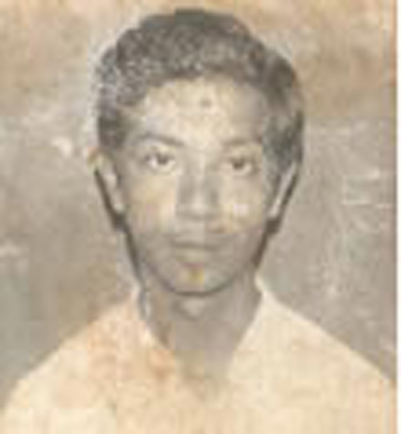 Released on 19 November 2012 Myint Aye is a 62-year-old activist who was sentenced to life imprisonment in 2008. Released on 17 September 2012 Shwe Htoo, a retired teacher who was sent to prison for 42 years in 1998. Released on 3 July 2012 Khun Kawrio was sentenced to 37 years in prison for his part in the campaign against the 2008 referendum. 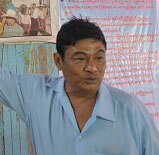 Released on 3 July 2012 NLD member Thant Zaw was sent to prison for 30 years in 1989. Released on 3 July 2012 Aye Aung was sentenced to 59 years in prison in 1998. Activists and journalists continue to be arrested in Burma and political prisoners remain in jail. All the laws under which they were jailed remain in place. No political prisoner should be left behind in jail. Repressive laws must be repealed. 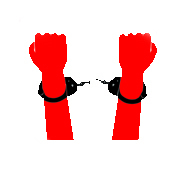 Click on these links to take action for the release of the remaining political prisoners in Burma. 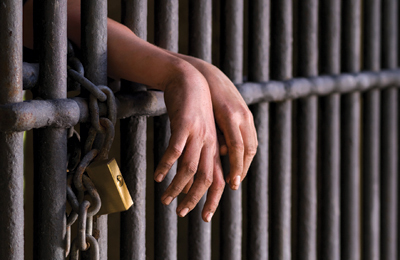 This guide provides case studies and addresses to write directly to political prisoners and to demand international action for the release of political prisoners. 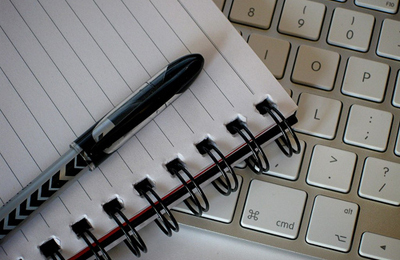 Download the Political Prisoner Letter Writing Guide here.